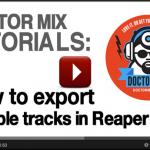 In this article and video we explain how to use Logic to export multiple tracks. Often times, you need to transfer an entire arrangement to a different system. 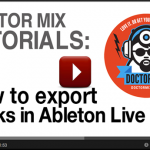 This guide applies to both Logic Pro 9 and Logic X. 1. 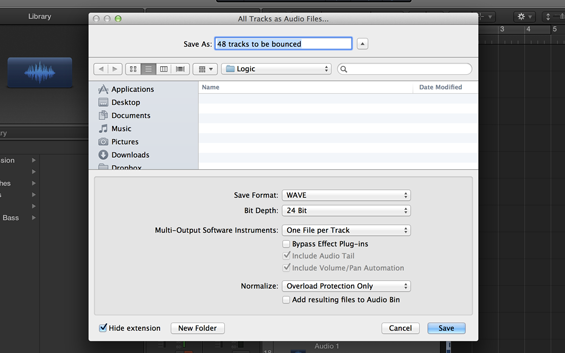 Go to File>Export>All Tracks as Audio Files. 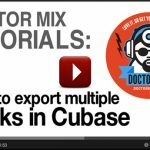 Please note that Logic does not export Auxiliary tracks such as buses or effect sends. 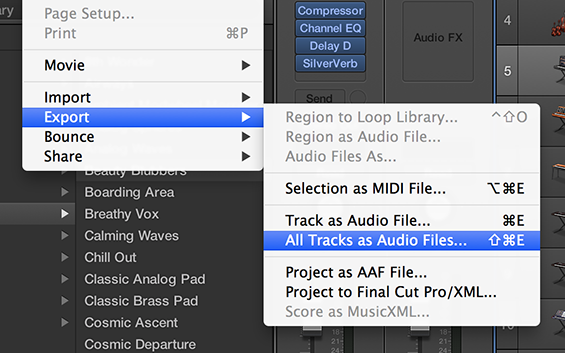 Only audio tracks and Instrument tracks will be exported. 2. Logic is now asking you where to put all the files: create a folder and name it. Adding the original BPM in the title is always a great idea. 3. Select a format in the “Save Format” drop-down list. 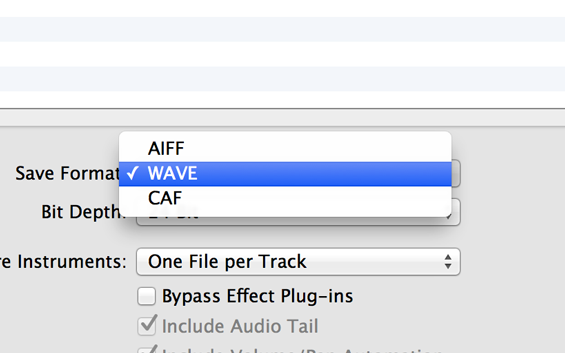 I would recommend WAVE as it’s known to be compatible with both Mac and PC. 4.  Select the “Bit Depth”. Using the same bit depth as the original recording is always the best choice. 6. 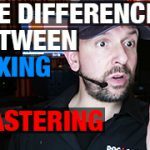 If an effect is part of the specific sound, such as a chorus or flanger, or even side chain compression, you can still bounce that track separately. 7. 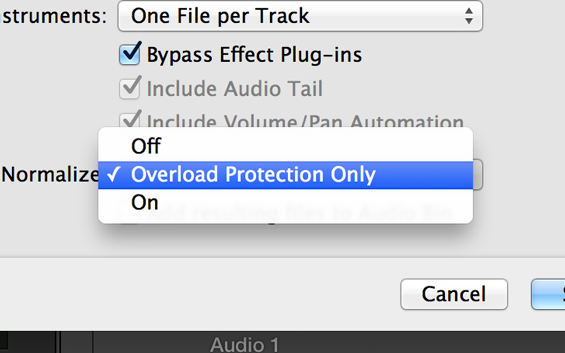 Set the “Normalize” drop-down menu to “Overload Protection Only”. This will ensure that when a channel is clipping (you never want that! ), the system will bring it down to a safe level. This option doesn’t touch the level – unless the channel is overloading. 8. 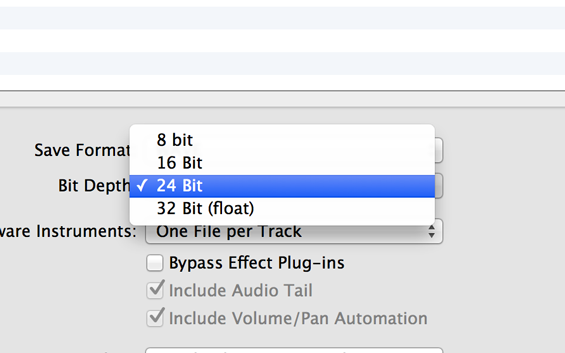 Uncheck the “Add resulting files to Audio Bin” button. 9. Then click on Save and… you’re good to go!